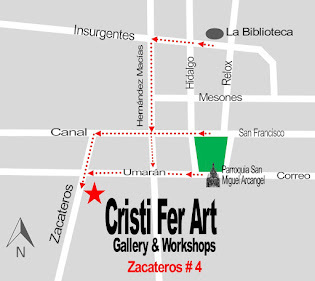 Cristi Fer Art Gallery and Workshops, in San Miguel de Allende, Mexico: One Painting in One Day? How is it possible? One Painting in One Day? How is it possible? It is possible when the instructors have over 25 years of teaching experience and teach because they LOVE it! Our approach to teaching is based on mentorship principals. We only work with small groups and individuals because we want to be able to give you lots of attention and direction. 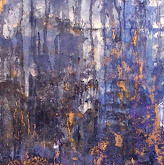 We have work with individuals at all levels, from novice to painters who show their art in US and Canada galleries. And 99% of the feedback we received was excellent! One painting in 3.5 hours to be exact, sounds too good to be true? Will I paint by numbers? Is this a drink and paint workshop? Do I need to be an experienced painter? The answer to all this questions is NO. 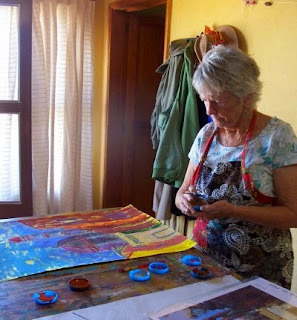 Beginners will learn about composition, color and technique. Intermediate will practice value, composition and perspective. 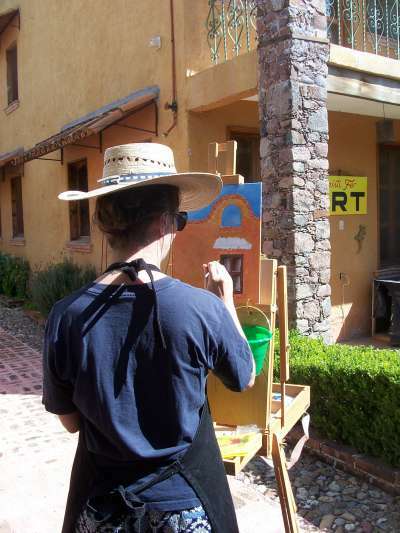 Advanced painters will have the opportunity to brush up on technique and consider new slants to their current art. All this principals are customized to the type of topic and approach you'll choose: expressionist, realistic, plein air, abstract, big canvas, studio painting. Our classes are designed for adults who can follow directions but we had successful results with families with children and teens who love to paint. We provide all the materials so you don't need to travel with extra staff. Also we provide a RT taxi ride to our studio from your hotel. If you are interested in 3 days or a week workshops take a look at the headings above or contact us with your travel dates and interests!